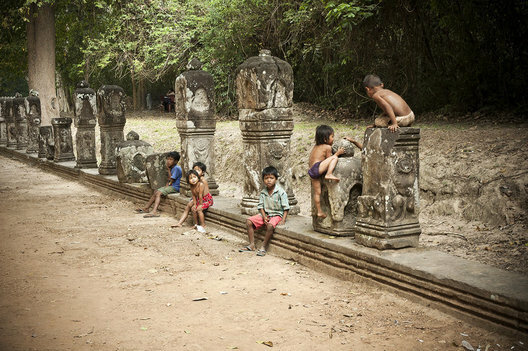 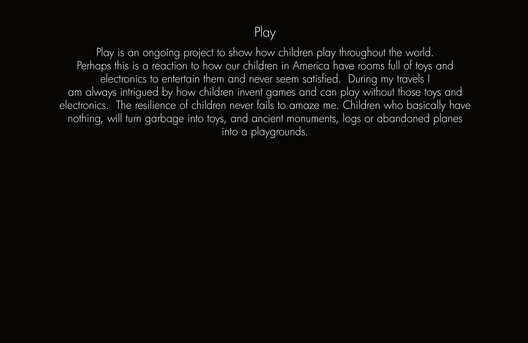 Ancient monuments are great for children to climb on. 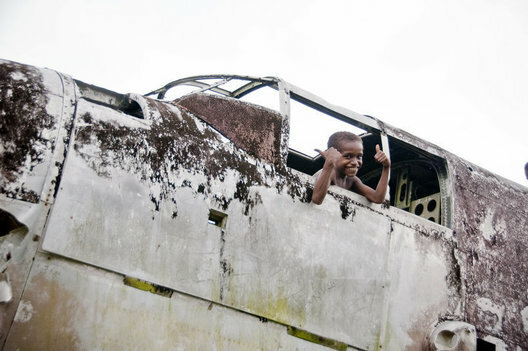 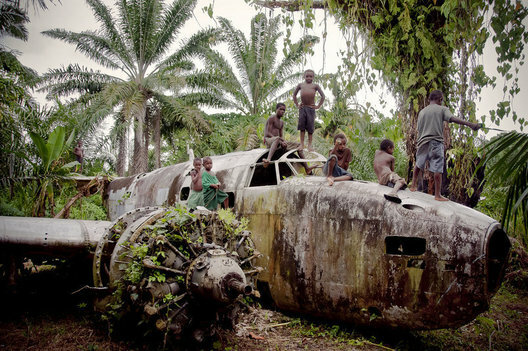 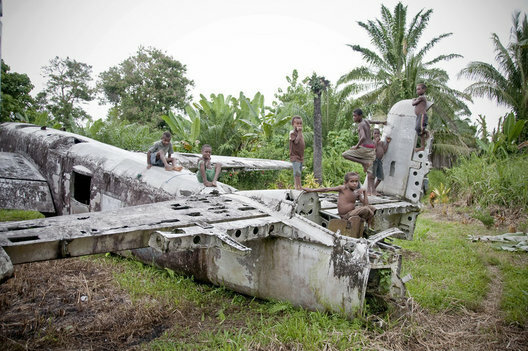 An abondoned WWII bomber in the jungles of West New Britain Island in Papua New Guinea acts as a great playground. 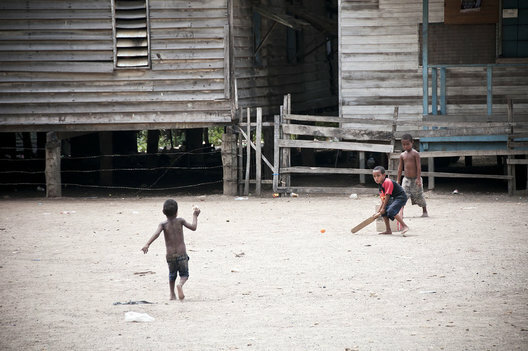 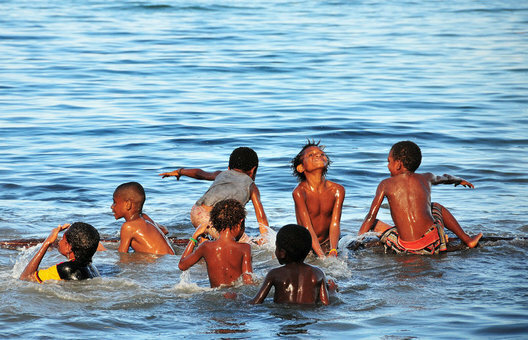 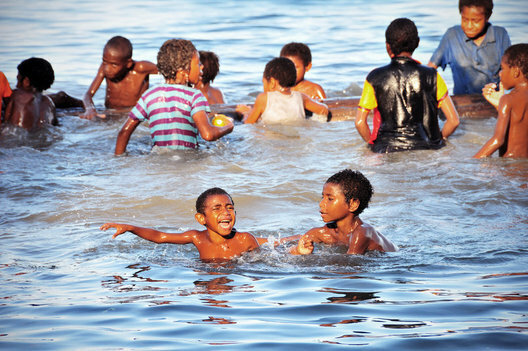 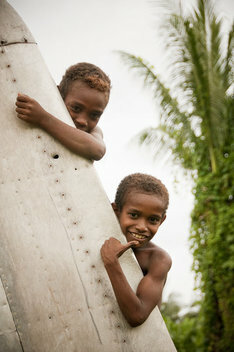 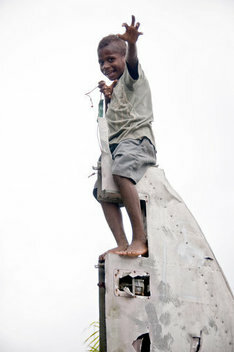 The children played on a 30 foot floating log off the shore of West New Britain Island in Papua New Guinea for hours. 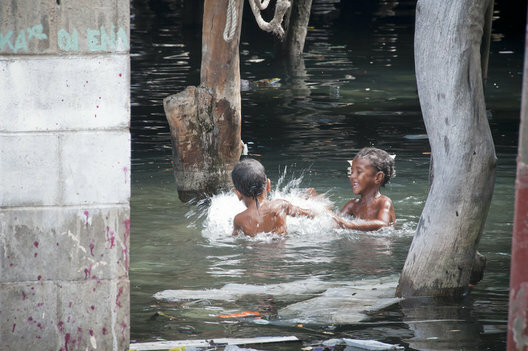 Two children play in the polluted wates below the stilt houses in Hanuabada settlement, Port Moresby, Papua New Guinea. 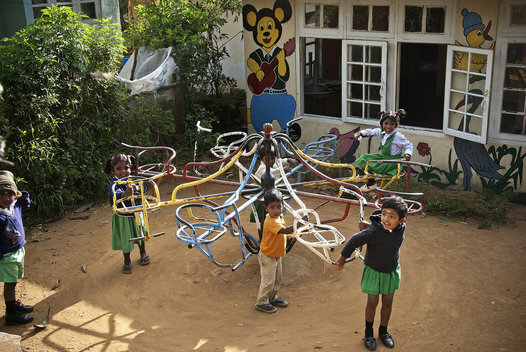 Children play on the playground built for the new community center and school outside of Hikkuduwa. 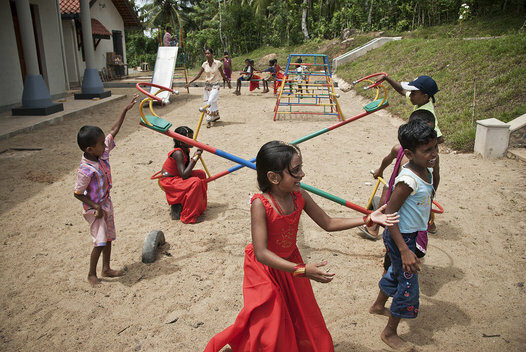 The community center and school were built after the 2004 tsunami. 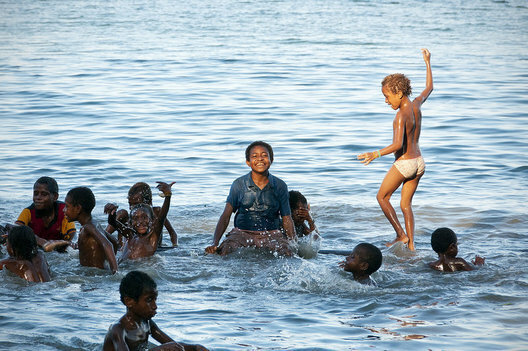 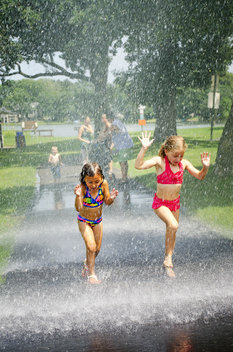 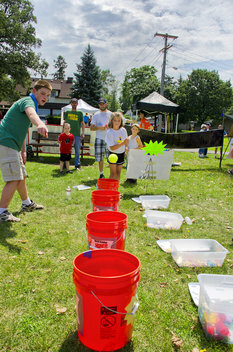 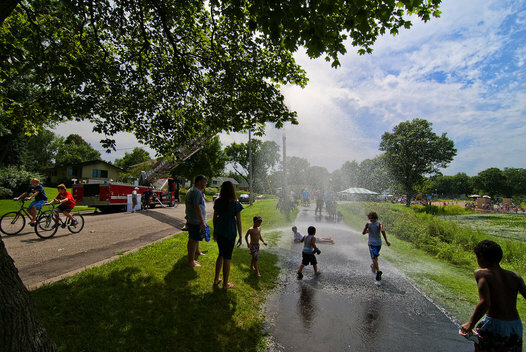 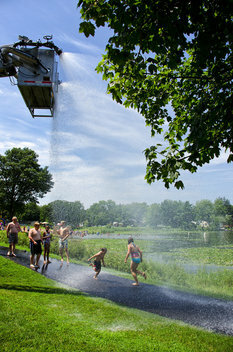 Children races each other on a dried river bottom. 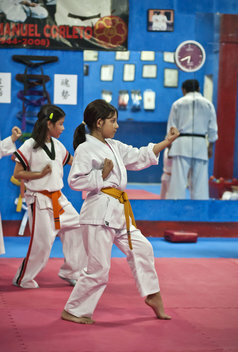 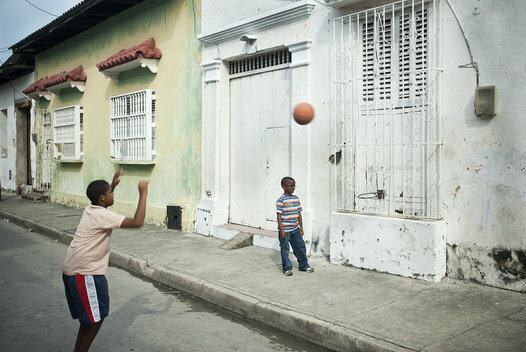 Children in Guatemala City take karate class.